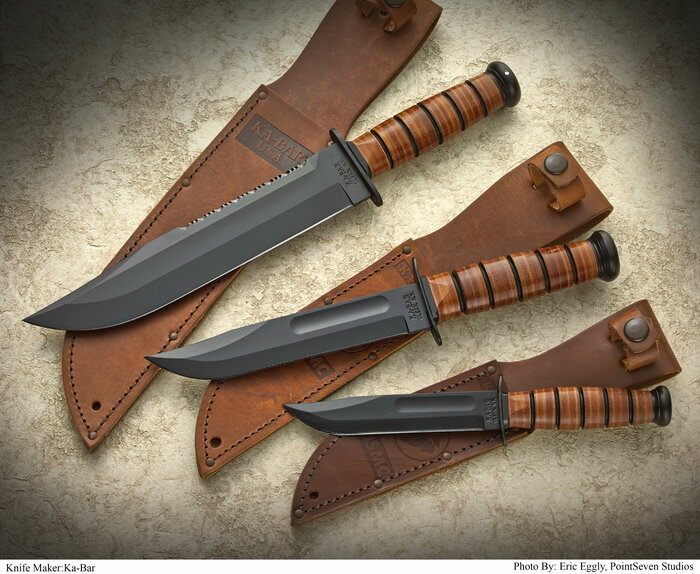 **** Chosen by Winner: Matt M.
The most famous fixed blade knife in the World - "the KA-BAR" - was designed to serve our troops during World War II and is still doing its job, with honors, nearly 70 years later. Designed in cooperation with the highly-trained folks at S.E.I.G.E. (Strategic Edge Impact Global Enterprise) of Rochester, NY, the Big Brother is designed for a lifetime of hard work and constant use. Each features a stacked leather handle, 1095 Cro-Van Steel and a leather sheath. Hardness is 58 HRc.